Did you know that these twenty-six words are responsible for much of America's multibillion-dollar online industry? What we can and cannot write, say, and do online is based on just one law—a law that protects online services from lawsuits based on user content. Jeff Kosseff exposes the workings of Section 230 of the Communications Decency Act, which has lived mostly in the shadows since its enshrinement in 1996. Because many segments of American society now exist largely online, Kosseff argues that we need to understand and pay attention to what Section 230 really means and how it affects what we like, share, and comment upon every day. The Twenty-Six Words That Created the Internet tells the story of the institutions that flourished as a result of this powerful statute. It introduces us to those who created the law, those who advocated for it, and those involved in some of the most prominent cases decided under the law. 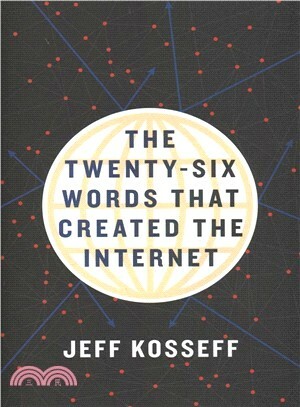 Kosseff assesses the law that has facilitated freedom of online speech, trolling, and much more. His keen eye for the law, combined with his background as an award-winning journalist, demystifies a statute that affects all our lives –for good and for ill. While Section 230 may be imperfect and in need of refinement, Kosseff maintains that it is necessary to foster free speech and innovation.